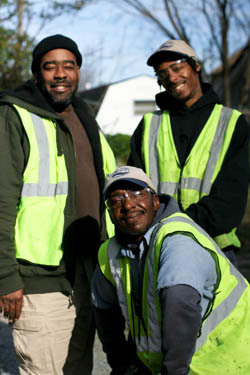 What do you think the most thankless job in America is? I had my own idea but decided to take an informal poll among friends, family, and of course Facebook. 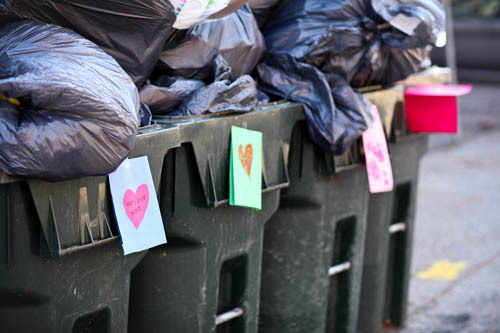 It turns out, garbage collectors won by a landslide. I can't say I was surprised. From Thanksgiving to Christmas, we create an additional one million tons of waste, which is a whopping 25% more that our collectors have to pick up and haul away. These are people that are part of our lives, in our backyards or front sidewalk, taking away all our decay, the stuff we don't want or no longer serves us. Yet even though these guys are in my living space every week, I really had no idea what they might look like or what their names were. I started to wonder so I woke up early one Friday morning and waited for them to roll down my alley. Joe leaned against the garbage can and said, "You know, we just need a little respect." "Yep, pretty sure everyone needs and deserves that, huh?" I replied. "Yes, they do. Yes they do." Joe said. The kindness mission was sparked. What could be a more lovely and simple message of respect than saying, "I see you, I value your contribution to my community and I thank you."? 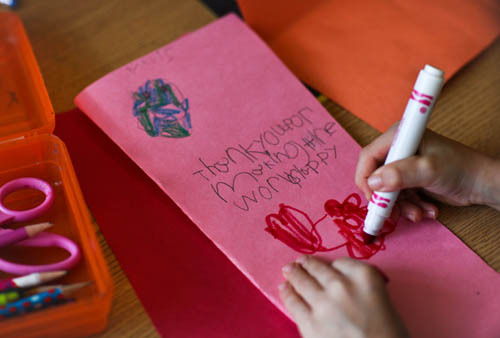 So I asked the kids in my daughter's kindergarten class if they would like to join me in writing thank you notes since they had just been learning about community helpers. The kids were stoked to take the mission on and the kindness started moving. Word traveled and five more schools wanted in. 5. Tell us in the comments what city you are from so we can see how far our garbage gratitude is going.